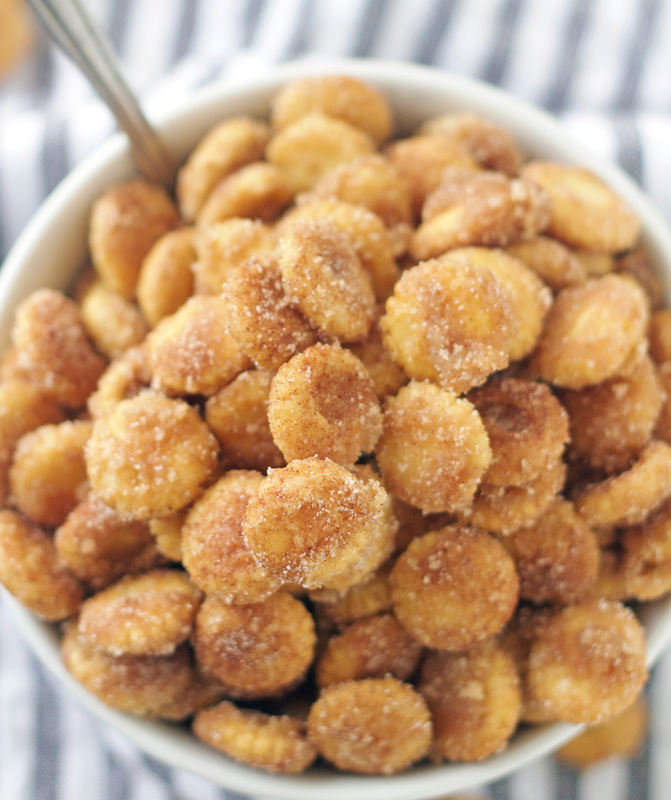 This Salty Churro Toffee Snack Mix is insanely delicious and highly addictive. You won’t be able to stop at just one handful. 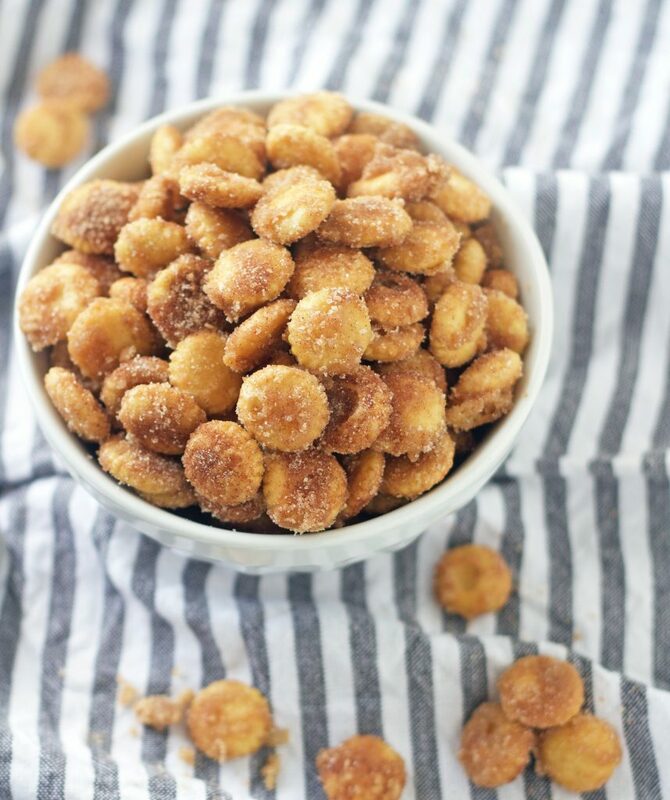 I’ve been dying to share this recipe for Sweet & Salty Churro Toffee Snack Mix with you. It’s absolutely evil and I should not be left in a room alone with it. No one should! It’s like crack and if it was a drug, it would be my drug of choice! It’s so simple to make and honestly would make the best neighbor gift ever. Fill a cellophane bag with some of this for your neighbors and you may find them at your doorstep groveling for more. You could probably even get them to shovel your driveway, do your laundry, clean your bathrooms, etc. in exchange for more of this mix. Just look at that yumminess. 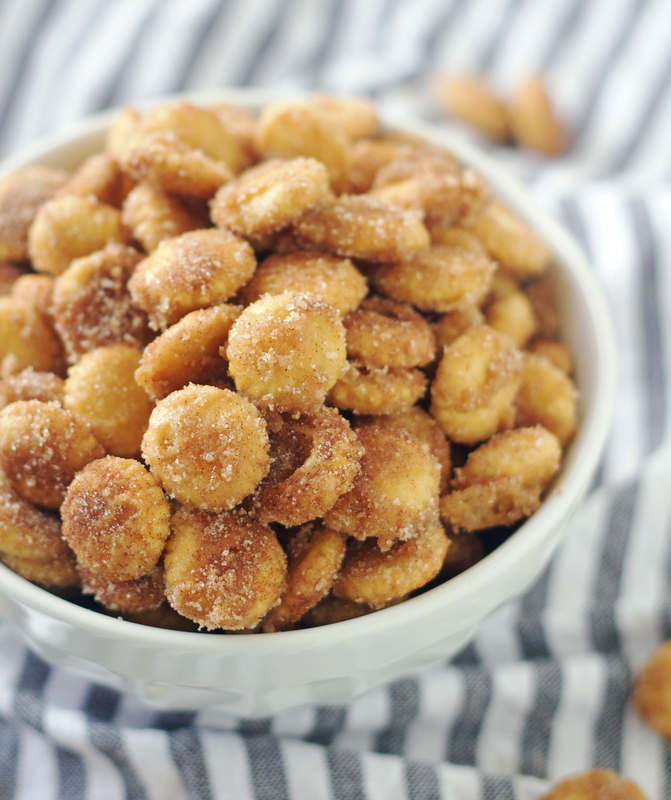 It’s Sweet, salty, buttery, cinnamony. . . .it’s utter perfection. You should be. This is such a simple treat to make. It’s basically foolproof, just follow the instructions. If you do make this (and you REALLY should! ), you’re probably going to love me and hate me, but that’s ok, I’ll completely understand. Now go make this, but let me first suggest one more thing, buy more than one bag of oyster crackers, trust me you’ll be glad you did. Line a baking sheet with a silpat liner or foil. Spread the crackers evenly on the baking sheet and set aside. In a medium saucepan combine the butter and brown sugar and bring to a boil, stirring constantly. Boil for 2 minutes. Remove from the heat and stir in 1 1/2 teaspoons of cinnamon and vanilla. Pour mixture immediately on top of the crackers. Using a rubber spatula, stir and coat the crackers evenly with the mixture. While the crackers are baking combine the topping ingredients in a small bowl and set aside. When the crackers are done remove the pan and gently give them a stir to recoat them with the sugar mixture. Sprinkle immediately with the salty cinnamon sugar mixture evenly. Let the crackers cool and then break into pieces. Serve immediately or store in an airtight container. Make sure you use the name brand oyster crackers (Nabisco Preiumum Oyster Crackers) and not the generic store brand. The store brands are much smaller in size, and I don't think work as well as the Nabisco brand. Jodi, this is so unbelievably delicious. When I did my shopping this morning, I picked up a package of crackers and had everything else. I whipped it up so quickly and cannot keep my hands out of it. Oh my it is so delicious. I am packaging up a bag for my girlfriend who I am meeting tonight for a holiday vendor fair in town. An early Christmas present to her! I love this so much. I did have a couple of tablespoons of the buttery brown sugar mixture left over in the pan after I removed all the crackers. I assume it just kind of fell off when the crackers were breaking up, etc. Did this happen to you, too? No worries, but wanted to ask. Thank you for this gem! Stopping at the store on my way home from work so I can make this tonight!! YUM!